The CSL closed September with an astounding round. For starters NY Pancyprian Freedoms backed up their U.S. Open Cup qualification win over Lansdowne Yonkers F.C. from the previous week with another victory over them, blanking the Bhoys 2-0. 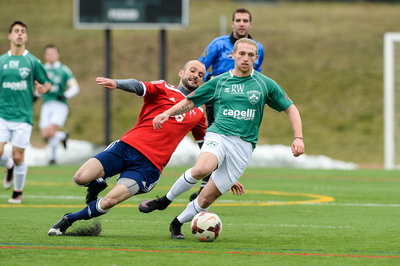 NY Greek Americans hopped back to winning ways as they got the best out of Shamrocks 4-1. Elsewhere Cedar Stars Academy did what they’ve been doing all season, blowing past teams, as they defeated Doxa S.C. 7-1. Bledi Bardic starred in that encounter, netting four goals and registering one assist. Hoboken F.C. 1912 continued their promising season back in the top flight with a 3-1 win over Zum Schneider F.C. 03. NY Greek Americans came back from their bye round with a solid 4-1 win against Shamrocks away from home at Randall’s Field 70 on Saturday night. Dan Giorgi gave the Rocks a 26th-minute lead as he brought Sam Huteson’s cross down before driving a low shot to the near left corner of the net. NY Greeks struck back just four minutes later, thanks to Charlie Ledula’s penalty kick. NYGA later took the lead 12 minutes inside the second half when Pat McCann steered Ledula’s back-pass to the bottom right corner of the goal from the top of the box. Ledula grew the Greeks’ lead to two as he dribbled between two Rocks defenders before tucking a shot to the lower left corner of the net. NY Greek Americans striker Charlie Ledula. Tyler Botte put an exclamation point on NY Greeks’ remarkable performance, scoring one of his signature headers from Noah Hutchins’ left-winged cross. The Greeks’ win pushed them up to fourth spot. Meanwhile Shamrocks dropped to fifth position with two consecutive losses. After knocking Lansdowne Yonkers F.C. 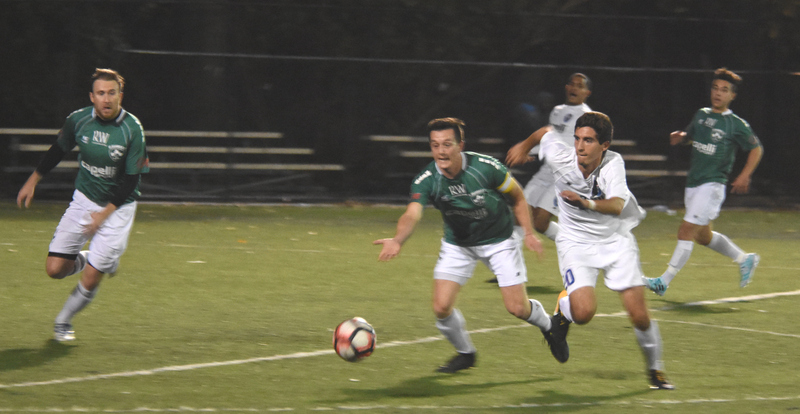 out of the U.S. Open Cup qualifiers with a 4-1 defeat two weeks ago, NY Pancyprian Freedoms got the best out of the Bhoys again away from home at Tibbetts Brook Park Field 3 with a 2-0 scoreline this time on Saturday night. The Freedoms opened the scoring around the half hour mark when Gerassimos ‘Mackie’ Magoulas intercepted a Lansdowne’s throw-in in their defensive third before shifting past a defender and driving a shot in the net. NY Pancyprians made it two from another Lansdowne giveaway. It was Andreas Iosifidis who intercepted the ball that time; the midfielder then paced through the Bhoys’ defense before finding the net. The Freedoms stay perfect after three CSL matches. Lansdowne on the other end lost their first two CSL matches for the first time in the modern era of the league, which amounts up to six seasons. 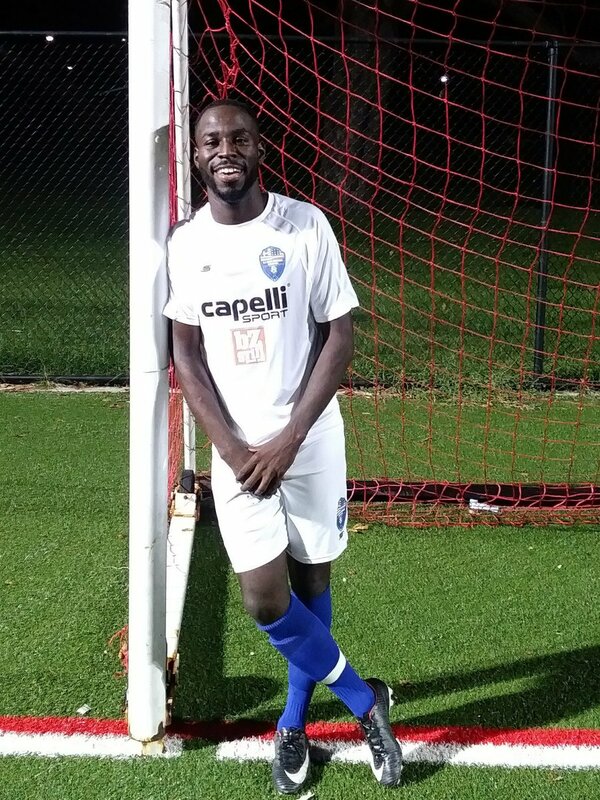 It was a long trip to Doxa S.C.'s field , Joseph F. Fosina, in New Rochelle for the Stars from Jersey but it was worth it as they continued their monstrous season with a 7-1 victory over the Greek club on Sunday night. Bledi Bardic had something to keep him awake on his long way back home, the 26-year-old scored a quadruple, thanks to Emmanuel Agboola, Christopher Katona, Matthew Nigro and Max Garcia’s passes. Bardic jumps to second spot in the goalscorers chart with seven goals after Sunday’s game. Katona didn’t have a bad night himself either as he netted two goals from M. Nigro and Bardic’s passes. The Jersey native leads the league in scoring with eight goals. Dwight Ceballo was also on target as he scored from Bryan Lopez’s pass. M. Nigro extended his lead on top of the assistman chart to five goals, which is two more than second place holders, his teammate Walter Calderon, and NY Pancyprian Freedoms player Jonathan Borrajo. Andras Breuer scored Doxa’s consolation goal from Joseph Lopez’s pass. Newcomers Hoboken F.C. 1912 are unbeaten in their first three matches as they downed Zum Schneider F.C. 03, 3-1, home at Stephen R. Gregg Park Turf Field 1 on Sunday afternoon. Hoboken was rewarded a penalty for a handball in the box in the first half, which Cory Chaplin converted to give his team the lead in the 26th minute. Chaplin, who led the team in scoring in the second division last season, found the net again in the 34th minute from Kevin Bzdek’s pass this time. Chaplin has three goals to his name in three appearances. Colin Stripling made it 3-0 with his second CSL goal three minutes into the second half as he banged Bzdek’s corner kick in the net. Saad Afif cut the Jersey club’s lead to two, converting a spot kick in the 55th minute. Hoboken jumped to third spot with a 2-0-1 record while Zum stays in last place with a 0-0-3 record. Central Park Rangers Whites and NY Athletic Club drew 0-0 on Sunday afternoon at Travers Island. Hence CPR is still looking for their first win of the season as they hold a 0-2-2 record, which puts them in eighth place. Meanwhile NYAC’s record changes to 1-1-2 but the club remains in sixth place. Central Park drew their two domestic meetings with NY Athletic last season as well.